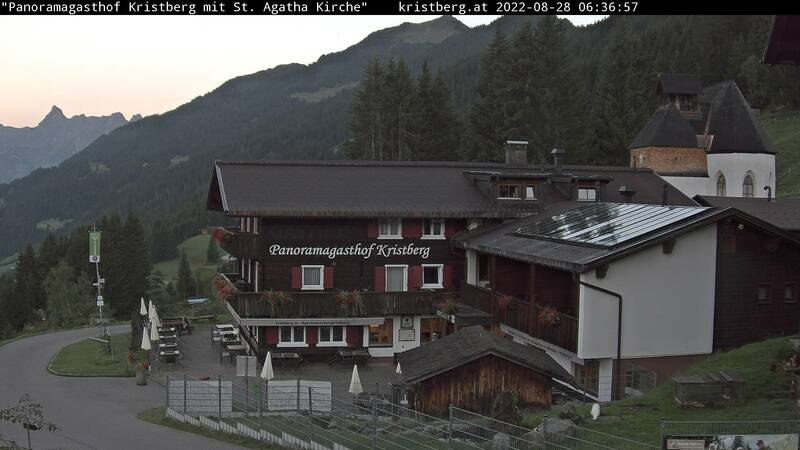 The Kristberg's Panoramagasthof's 100-year story of success in Silbertal started in 1914; and then really kicked off in the 1960s, after the former snack bar was bought by the Zudrells and turned into an inn as well as later into today's hotel. When the Ruider family bought the Kristberg as an “Maisäss”, which is a west-Austrian pasture, and turned the “Kristberg saddle house” into a snack bar 11 years later, no one could imagine what would once become of this little house. In 1936 Adolf Zudrell bought the Kristberg saddle house including the attached farm from the sisters Maria and Rosa Ruider. And soon after he already started to extend the B&B because of the increasing demand due to the lift openings and the tourism in the area. Adolf Zudrell extended and changed the building and soon created enough room for 28 guests at his “Gasthof Kristberg” B&B, where from the year 1964 on he served his guests hearty traditional cuisine. In the same year Mr. Zudrell also had a “house ski lift” built and three years later, in 1967, the modern Doppelmayer-ski lift followed. In 1972 another two ski lifts were introduced and in 1977 a cross-country and ski-hiking trail. In 1979 both the “Kirstberg” and the “Sattel” ski lifts were sold to the Montafon Kristberg mountain railways, who then in 1988 enhanced the lift facilities with a 35pax cable car up on the Kristberg. Since 1998 the quality has been more and more improved – the focus always on introducing the guest to the “Kristberg life's bliss” and to delight them with the special something: apart from the excellent culinary offers the attentive service for every guest also contributes to the whole atmosphere. The comfort rooms at the 2-star-superior Kristberg Panoramagasthof and in close vicinity accommodate between 29 and 45 people. If you want to be one of our indulgence holidaymakers and want to enjoy the Kristberg indulgence service, then send us your no obligation room enquiry.